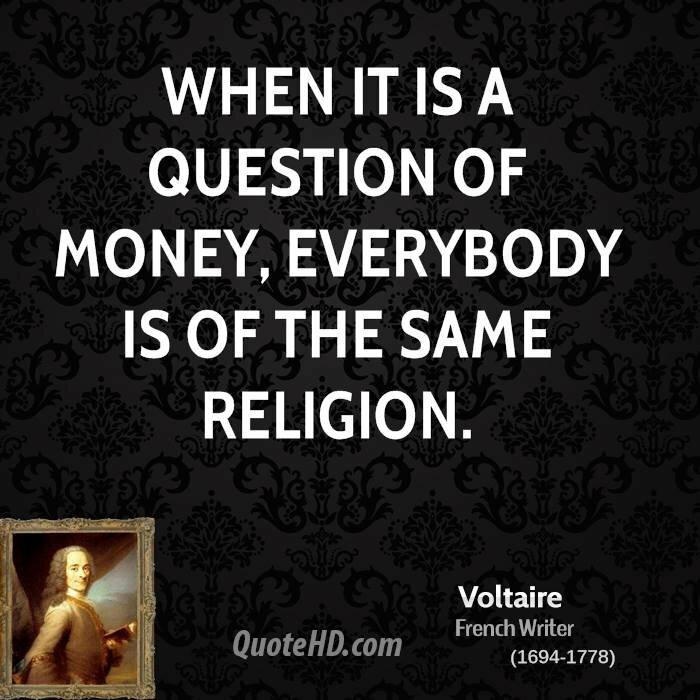 Money has always rivaled religions, and that is why both had to merge. The marriage of polarities made possible with politics, which can only sustain itself by continually playing the old “good vs evil” strategy. 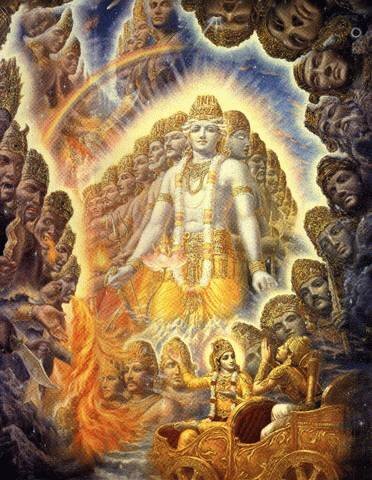 This merging happened centuries ago though and is cause of strife in human life. Religions want us to believe that we can do good with money, but it is impossible as we now can see since the planet is utterly bankrupt and science completely inefficient or corrupted by profit seeking. The environment is being pillaged and destroyed. Getting rid of money would not throw our world into chaos, because money is responsible for 95% of all the crimes in our society. Money brings about chaos. Money destabilizes our planet and more human-made laws are making it a lot worse as they are mere patches not addressing the core issue. Monetarism is a destructive premise because “value” we give it empowers the scourge that is moral relativism (everybody regards it differently) and the illusion of materialism itself . It is not without a reason that Hinduism call it Maya. And when such an illusion is given the priority in our lives, the micro and macro scales are affected in various ways. We cannot fix an illusion, the illusion that we can give our materialist possessions such an importance since we are born naked and will die naked. It is not fair to pass such a grand illusion onto our kids and grand kids, and whose side effects are exponential because we have failed to comprehend the root cause of the problem for about centuries and the real purpose of LIFE. Moreover, the topic of money also highlights the failure of mainstream philosophy and psychology alike since all our ills are linked to a moral relativism dictated by monetarism. The paradigm shift is really upon us, and there is not so much time left to maneuver. ………… In a 2016 study entitled “The Socio-economic Contribution of Religion to American Society: An Empirical Analysis”, Melissa and Brian Grim from Georgetown University and the Newseum Institute set out to determine the cost and contribution that religion has for American society. Under conservative estimates, faith-based organizations were found to generate roughly $378 billion per year. Being more than a third of a trillion dollars, that number actually accounts for more than the global revenue of both Apple and Microsoft combined. When including businesses with religious roots, the number increases to roughly $1.2 trillion annually, while more liberal estimations which also include household incomes of religiously affiliated Americans put the total annual revenue of religious-based organizations at approximately $4.8 trillion, which is about a third of America’s Gross Domestic Product (GDP). “We believe that our second estimate of $1.2 trillion is more reasonable as it takes into account the value of the services provided by religious organizations and the impact religion has on a number of important American businesses” say the authors. Although, assets of religious groups were still not taken into account for this measurement. After conducting their analysis, the study authors found that combined revenue from the country’s five largest religiously affiliated charities adds up to just under $38 billion. These include the Lutheran Services in America, Young Men’s Christian Association (YMCA), Catholic Charities, Salvation Army, and Habitat for Humanity. However, religion is also quickly becoming one of the nation’s largest tax-free industries as reports have estimated that Christian media alone accounts for about $3.6 – $6.8 billion conservatively.